Exclusive, unique hand-made design inspired by the Destiny franchise. Please see Terms and Conditions for information on painting times and shipping. 100% Official Microsoft/Sony controllers are used to create your custom controller. Exclusive, unique hand painted design inspired by the Zombies franchise. Exclusive, unique hand-made design inspired by the The Halloween Movie. All of the designs are hand made and completely custom. If you would like any variations on this design please follow up your order with an email using our contact form. Due to the fact that each controller is custom and hand made per order, during busy periods it can sometimes take up to three – four weeks to be dispatched. Every design is completely unique to you – your controller, your choice! Design inspired by Bungie’s Destiny. 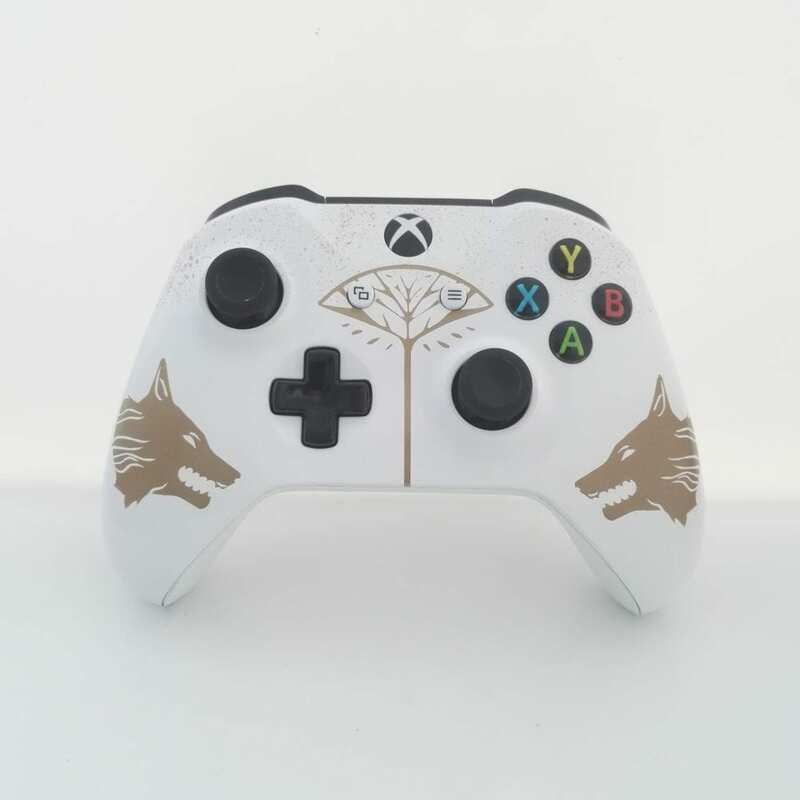 All custom designs are painted onto official controllers.